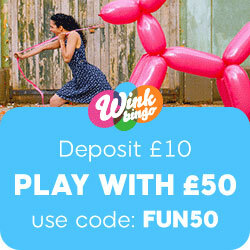 Foxy Bingo are currently in the midst of their big getaway promotion where they are bringing you the chance to win a different holiday prize package worth around £2k every single night of the week. Tonight, Tuesday 10th January you could win fantastic holiday to Turkey at Foxy Bingo from stakes of just 50p. Now that is what you call a great game to take part in, imagine getting off on a super holiday that cost you just 50p, now that does not happen everyday. This amazing offer will be running nightly right up until 22nd Jan, so you will have loads of chances to win that vacation of your dreams from relatively small stakes. Check back on Foxy each day to see just what holiday package is lined up for you in their getaway game. As this is foxy we are talking about it is not the only super promo they have running either – no, where some sites just run one big deal each month, you can guarantee that foxy has loads of different offers going on which definitely makes them stand out from the bingoing crowd. Their big January sale ends today, but you have still got time to take part if you wish. During the sale they have put £5,000 worth of guaranteed games on their bingo tables and set ticket prices at just 1p / 2p. These will run today between noon and midnight. On the last Friday of this month a big guaranteed jackpot of £15,000 will also be coming out to play and you can log onto their site as from no to pre-grab those all important cards which cost £1 each. Pre-buy is great, as it allows you to play a game whether you are online or not and we have seen some big winning pre-buy stories over the past few years. What a lovely surprise it must be to log back into your account to find that it has gone up by ££££’S. This entry was posted in Bingo Blog and tagged Foxy Bingo on January 10, 2012 by Emma.